I see beauty everywhere. I don't know whether this is a special gift or simply my vision of the planet and people I'm living with. 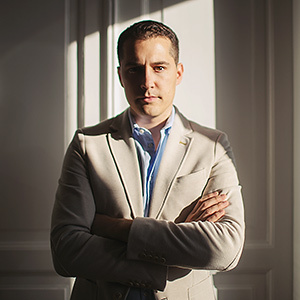 I'm located in the northern part of the Adriatic from where I'm reaching all the mayor European capitals and your wedding in just few hours. My biggest achievement so far was definitely becoming the first runner up of the Photographer of the year 2011 on WPJA, just after my second year of presence in this respectful organization and being between the TOP 20 Fearless Photographers in the 2012. I've never been to a photography school, I've never been to a photography workshop, I've never had my own photography exhibition.. but my passion for photography is limitless. 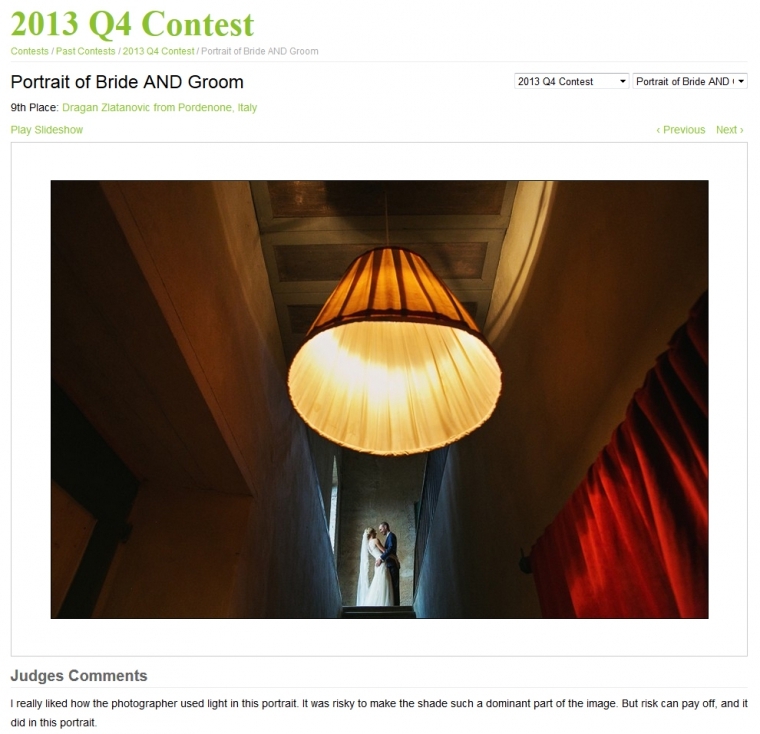 The 2013 Q4 Contest showcases the wedding photojournalism of WPJA members from the final quarter of the 2013 year in 17 categories, with an incredibly massive 23,000 entries in this contest. That’s why I’m very glad to see 2 of my award winning photos in this quarter, a 9th place in the “Portrait of Bride AND Groom” category and a 15.th place in the “Emotion” category. My deepest compliments goes to all the winners and to the new Photographer Of the Year 2013. Let’s get ready for a new season of great photojournalism!